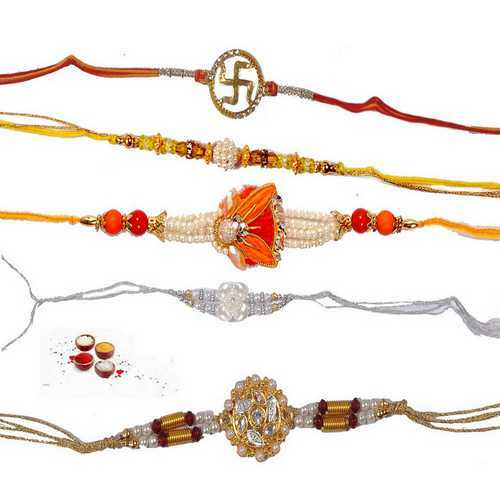 If you are looking for designer pearl rakhis for your loving and caring five brothers then your search ends here. 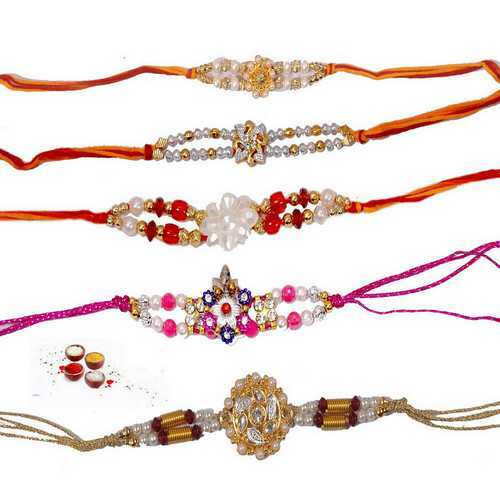 This is a lovely set of 5 designer pearls rakhis which are so elegant and stylish to impress your brothers. 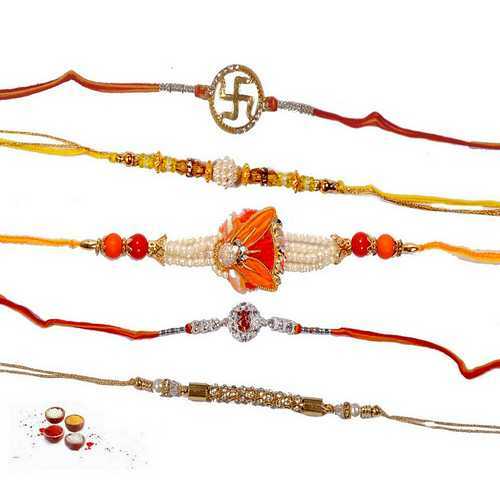 Buy the set of 5 designer Pearls Rakhis and send online to your dearest brothers who have been the source of inspiration in your life. 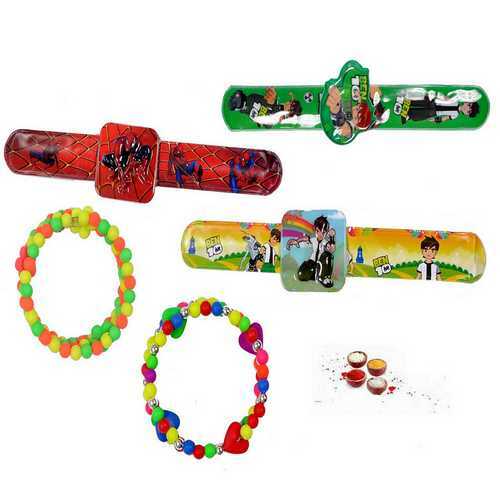 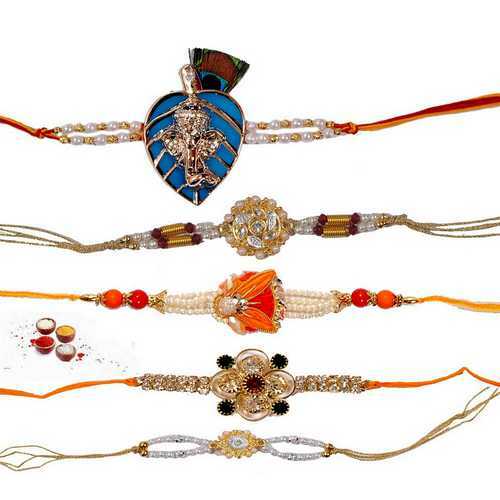 Express your love and convey your rakhi wishes in form of these designer pearl rakhis. 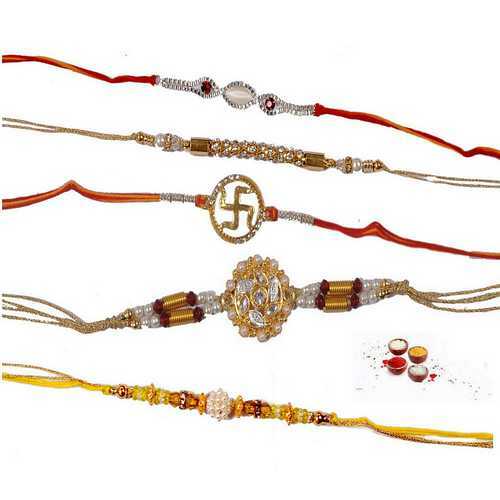 Get this beautiful set with complimentary Roli, Chawal, Chandan and Mishri in very attractive pack.